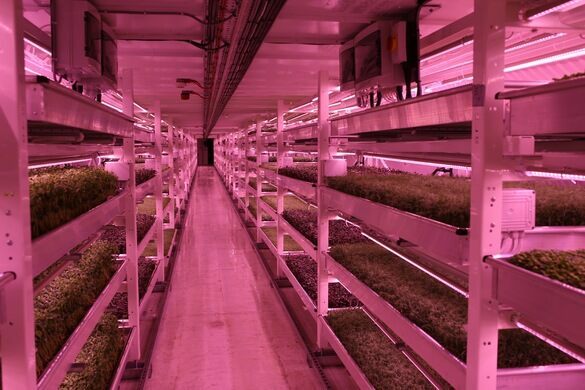 An urban farm lies far below the surface of London, out of reach from any fresh air and sunlight. 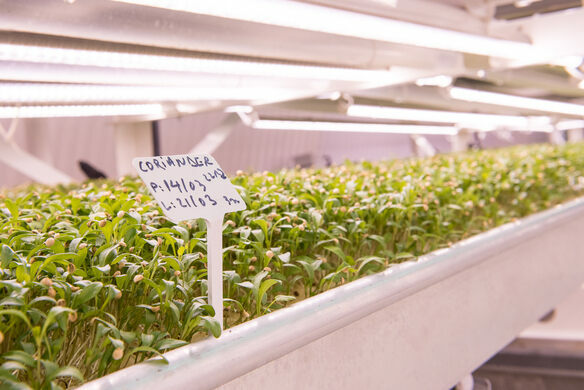 Growing Underground uses innovative LED lights to grow produce like coriander, broccoli, fennel, and other micro herbs in an effort to promote zero carbon food. The farm’s bounty goes on to fill the plates and shelves of high-end London restaurants and big-name stores like Marks & Spencer. To make up for the lack of natural light, the plants are grown beneath LED lights that bathe the bunker in an eerie pink glow. The lights shine the brightest at night, when electricity is the cheapest. 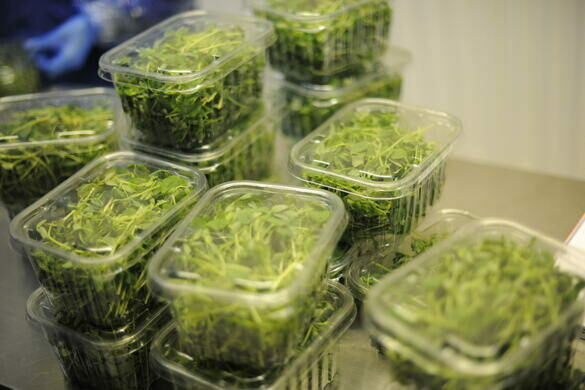 The produce is grown with hydroponics, meaning the seeds rely on a cocktail of mineral nutrients and a water solvent rather than soil. Before Growing Underground moved into the space, the shelter had been abandoned for 70 years. It’s one of eight deep-level bomb shelters built around London during World War II, that at Clapham North was constructed between November 1940 and 1942. At one point the large shelter housed 8,000 troops in a labyrinth of stairwells and tunnels that stretched for more than two miles over 100 feet underground. The Clapham North tube station opened more than four decades before the shelter was built beneath it. An extension of the City & South London Railway to Clapham Common one stop to the south, the Clapham North station is one of only two remaining in the city that has an island platform in the station tunnel. All eight of the deep-level air raid shelters feature a pair of parallel tunnels 16 feet and six inches in diameter and 1,200 feet long. 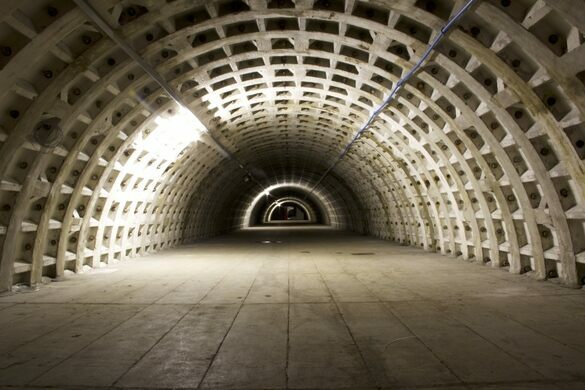 Ten tunnels were planned to house a total of 80,000 troops, but only eight were constructed. *Note: This entry has been updated to reflect that the air shelter has a new purpose as an underground urban farm and is no longer abandoned. London Bus routes 50, 88, 155, 322, 345, P5 and Night routes N155 all serve the station and its surrounding areas.